For the next two years, the Democratic Party is in the majority in the U.S. House of Representatives. The U.S. Senate remains controlled by the Republican Party, but the split between legislative influences is certain to have an effect on investment opportunities. Among the newly-enshrined young and vibrant wing of Democratic congressmen, there is a push to promote environmental issues. The Green New Deal is nearing legislative status, and it is possible that something will occur to turn federal law toward greater environmental protection. At the same time, the Democratic majority in the House of Representatives pushes efforts to change immigration laws to benefit people in the country who were born elsewhere and currently have questionable legal status. You can agree or disagree with any of these efforts, but that does not mean you should not consider taking advantage of these programs and legislative efforts from an investing standpoint. For many companies, social initiatives and environmental programs are looked at as costly efforts. But there are many investment products, mutual funds and exchange-traded funds, that promote such efforts and encourage investment to support those changes. Young investors, who are more likely to encourage socially responsible programs, may be aware of such investment opportunities, or may be looking for information to allow their investable assets to have a positive effect on the world while also providing a return on investment. Older investors who may have a larger investable asset wallet may want to hear about the opportunities that abound from socially responsible organizations and programs. 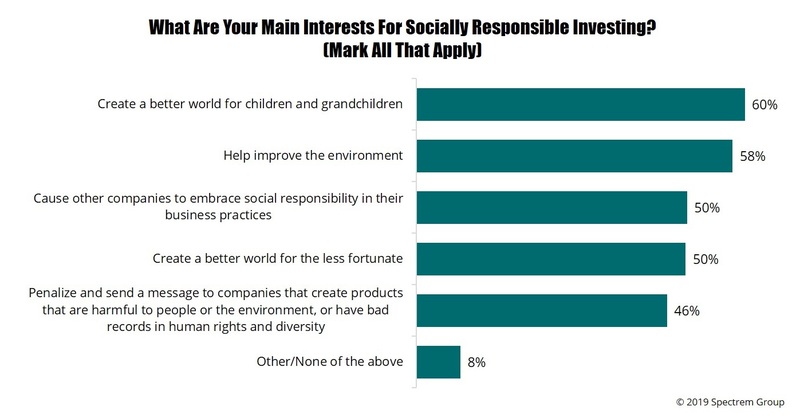 Spectrem’s study, Investor Perceptions of Socially Responsible Investing details the current overall lack of participation and interest in socially responsible investing, but also shows that there are pockets of investors who want to hear about the opportunities that exist in socially responsible investing. It is possible for an advisor who is tuned into the state of socially responsible investing to spark a new interest in an investor who is looking for a new and effective way to invest funds. The problem is convincing investors that an investment in a socially responsible fund or product can produce a return on investment. According to the Spectrem study, only 25 percent of investors believe socially responsible investments have the potential to result in a greater return on investment than other investment products. Only 8 percent of investors say their advisor has ever discussed socially responsible investing as an investment strategy. But what if a socially responsible investment product could offer a rate of return similar to other products with a similar level of risk? Do you know investors who would consider such an investment because it feels good to invest in that manner? 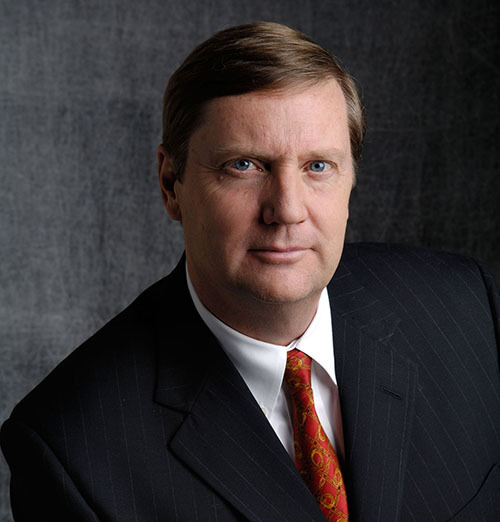 According to the Spectrem study, 58 percent of investors who consider socially responsible investing do so in order to improve the environment, while almost 50 percent invest in socially responsible companies in order to send a message to companies who do not consider their social responsibility that they need to clean up their act. There is also a new player in the market for socially responsible investing. Donor-advised funds, which act like a charitable investment account to support various charitable efforts, are often eligible for tax breaks, but those funds can be invested for growth without tax implications, allowing an investor’s donation to increase in value over time. According to a Spectrem survey of wealthy investors, familiarity of donor-advised funds is at only 20.28 level on a 100-point scale. That’s a very low level of familiarity for a product design that could be appealing to investors looking to donate to socially responsible efforts. And remember: an investor does not need to agree with the politics of socially responsible federal legislation or programs. But they certainly can understand that, for at least the next two years, there could be a new breed of investing opportunities they should consider in the current political environment.